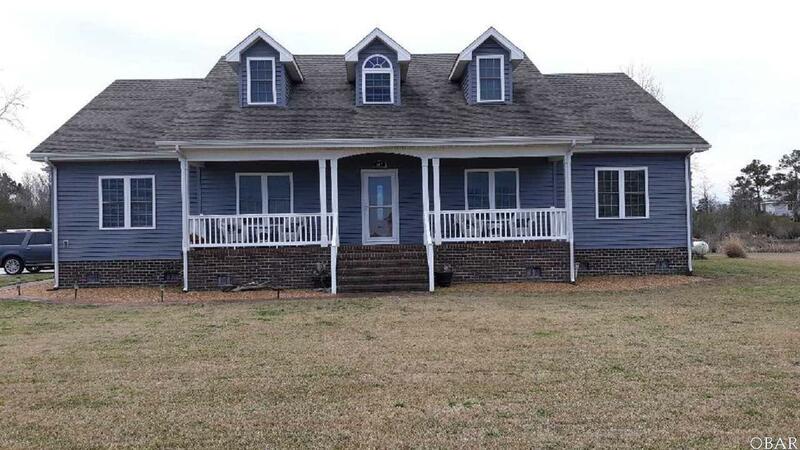 This 4bedroom 3bath home has an expansive SemiSound waterviews .Centrally located on 2 large homesites just steps to a direct Soundaccess and the community boat ramp. 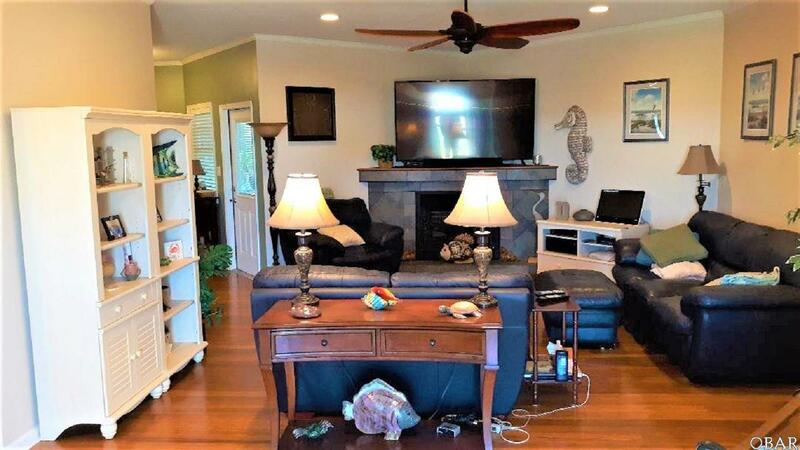 This thoughtfully designed home sits in a delightful soundfront subdivision which when built in 2012 was constructed 4 feet higher then most in area. Lets tour this together so you can feel what most viewers have experienced already-- First Your greeted by twin pear trees as you pull into drive. Walking up the side gives you an Outer Banks feeling already from the awesome Waterviews. 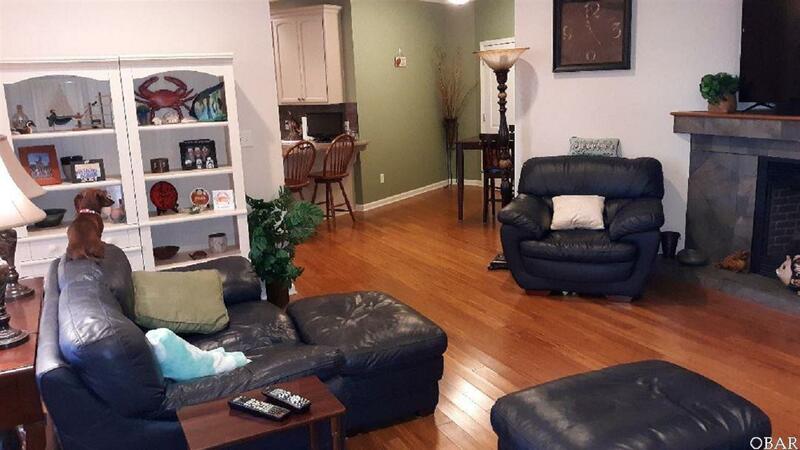 Keep in mind throughout tour" This home has custom designed features" The minute you open the front door the grand room displays the strand carbonized bamboo flooring with an open floor plan immediate with lots of natural light. 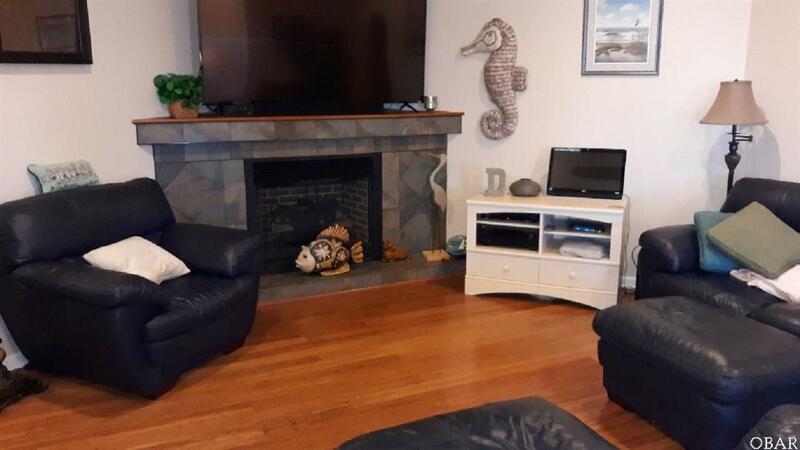 Second comes front and center is the custom tiled gas fireplace w/ large wooden mantle. Some added features are The master bath ,back porch with hot tub all wired for tv , great room & frog wired for surround sound. Lets move into the kitchen youll love The commercial grade appliances that stand out with the granite countertops ,wine refrigerator, 2 drawer dishwasher, microwave -convention & 6 burner gas stove ,custom fitted refrigerator and to think a delightful addition is the custom cushioned drawers and custom cabinets. All three bedrooms with den are on the ground level featuring the master bed with bath custom 6 ft jetted tub tiled & custom floor to ceiling tiled walk in shower w/3 shower heads including rain heads. Lets not miss the laundry with custom ceramic tile and granite countertop with cabinets & pantry. This is just the beginning going upthe carpeted stairwell into the fully carpeted 32 ft lg frogto 2nd level giving you more possibilites then most homes . Office, gameroom, fitness room ,or recreationto name a few ideas that can be developed here. Let your mind run wild with addedpossibilities. All that makesgoing up to thespacious third level even more tantalizing. An inlaw suite is not out of the realm here with all piping for bath and sinks available and unfinished which opens up for more then just storage. Now lets go outside-- Were not quite done yet . Going out to the back deck gives us the view of a 2nd kitchen with stove/ grillcustom cabinets with granite countertops, 8 person Jacuzzi / spa and gas firepit all on this back deck. Last but not forgotten the 2 car oversized garage with added storage is ready for any new addition to a four wheeled enthusiat. Even With a styling palm as a piece of landscape as you overlook the back creek helps this home not cease on making someone feel at home on a warm summers night. So come and enjoy this atmosphere where you wont soon forget.